Jamie says: When I was reading the Sun Sentinel newspaper one morning, I was treated with a great surprise- a section devoted to the best restaurants in the area. 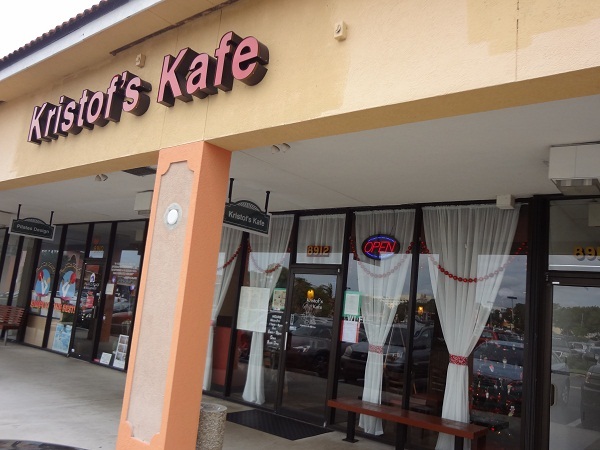 I recognized the name Kristof’s Kafe (8912 W State Road 84, Davie, FL 33324; tel. 954-475-8977) despite never having been there before. I soon realized I had seen the restaurant many times because it’s located near my local Publix Supermarket which I so frequently visit. 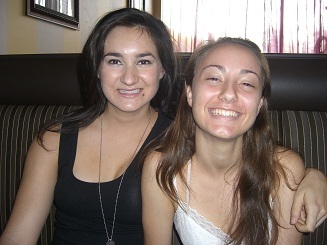 So Mom and I planned a mother-daughter date and ventured to the restaurant for lunch this past Saturday. From a street view, the plaza (Pine Island Plaza) isn’t the most beautiful, but many good hole-in-the-wall places aren’t either. 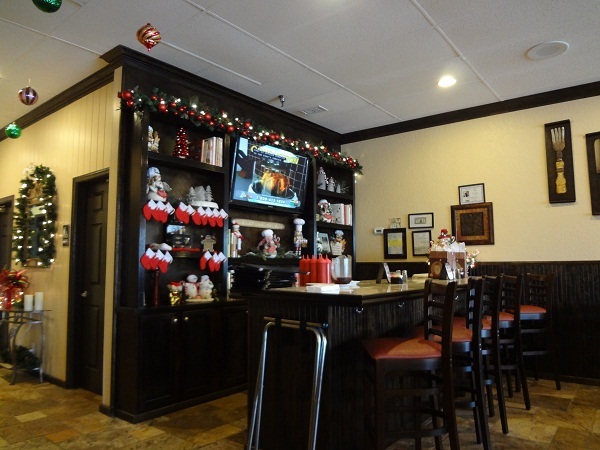 Up close, the restaurant looks more cozy and festive. Inside it was classy and decorated for the Christmas holiday, too. 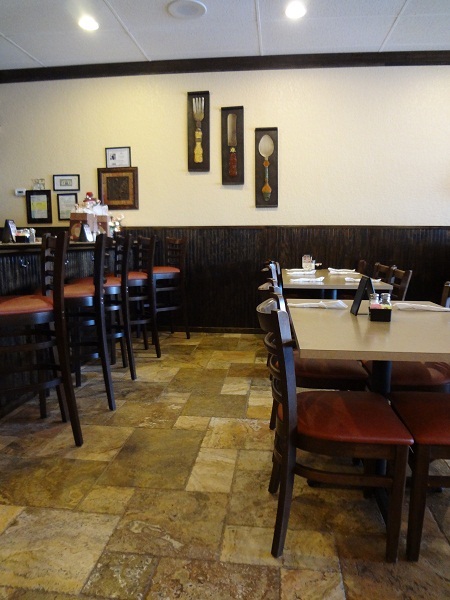 It’s a small and relatively quiet restaurant- perfect for my lunch out with Mom. 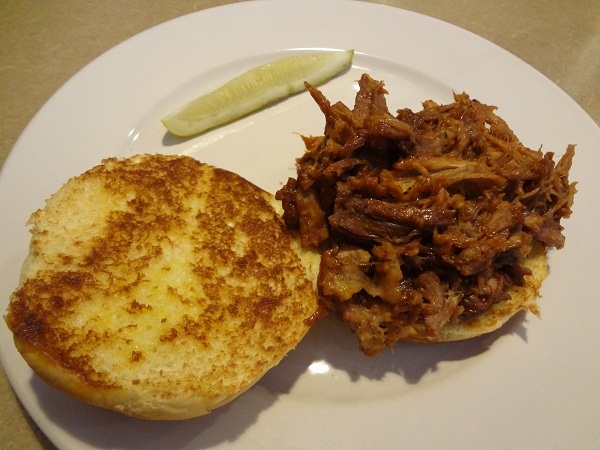 There were a lot of menu items I wanted to try, but I finally decided on the pulled pork sandwich. 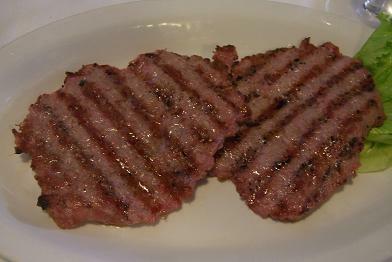 It was very tender and flavorful. I’d definitely order it again. Mom got the Cuban wrap. Hers looked good too, so I cut my pork sandwich in two and we swapped halves. 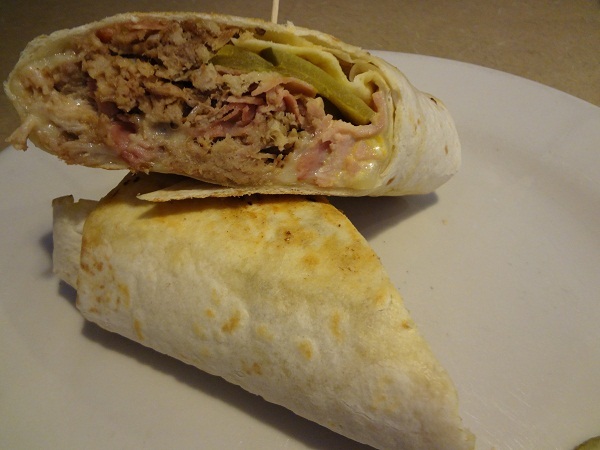 My eyes didn’t deceive me… the Cuban wrap was mouthwatering, too. I was glad I made the switch so I got to try hers, too. We both substituted the fries for a salad for an upcharge. I liked how our salads were served first while we waited for our sandwiches. Overall, the restaurant was a winner. 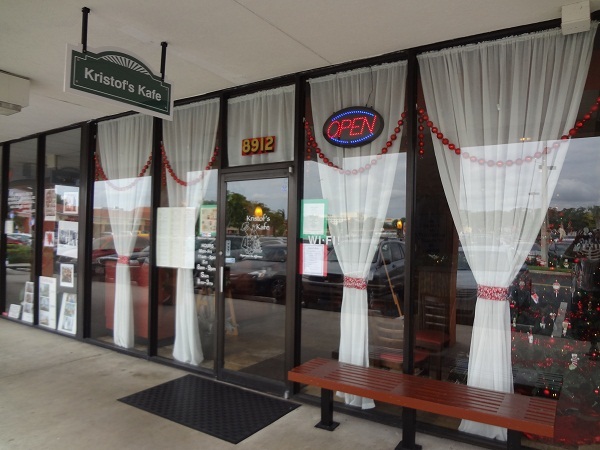 The food was delicious, the service was great, and the atmosphere was nice on the inside. 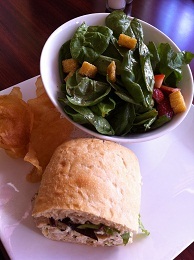 Jamie says: I found one of my new favorite lunch spots near home! 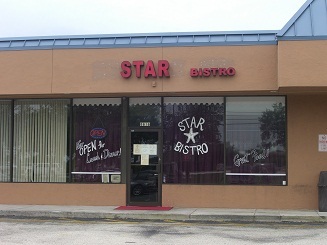 It’s called Star Bistro (8618 Griffin Road, Cooper City, FL 33328; tel. 954-252-5545; not open Sundays). I’ve been there twice in the past week. Honestly, the place has no street appeal (it doesn’t look like much from the outside), but don’t let that stop you from going in. You’d definitely be missing out. On the inside it’s cozy and classy. The jazzy music is relaxing and the food is, well, it’s amazing. The first time I dined at Star Bistro was with my Mom. 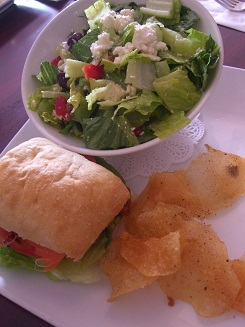 I enjoyed the 1/2 sandwich, 1/2 salad lunch combo both times I dined here. The chips, which come with the combo, were some of the best I’ve ever had- they were slightly oily, yet light and airy, and lightly salted and peppered. For my first visit, I tried the Rosemary Chicken Sandwich with almonds, scallions, and light yogurt dressing and the Spinach and Strawberry Salad. The sandwich had a rich creamy taste (which was surprisingly from light yogurt, not heavy mayo) and had ample fresh rosemary to make the taste buds dance. The salad had walnuts, a tasty light dressing, and polenta croutons. The polenta croutons weren’t many, but were crispy jackpots of flavor when you got a bite of one. 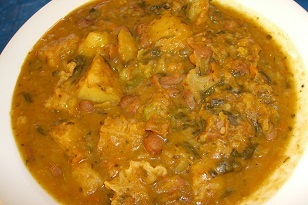 The meal was so tasty but felt healthy and light. I was sold. A few days later I was back. 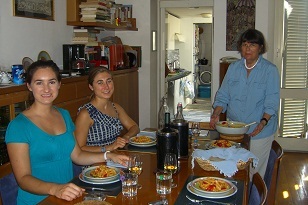 This time to celebrate my 25th birthday with my sister and two girl first cousins. On this second visit, I ordered the Smoked Salmon BLT with light caper mayo-mustard spread on ciabatta and the Mediterranean Salad with cucumbers, feta, kalamata, red onion, peppers, and lemon oregano vinaigrette (another 1/2 and 1/2 combo). I enjoyed the soft feta and the distinct taste of the kalamatas on a larger portion of salad this time. 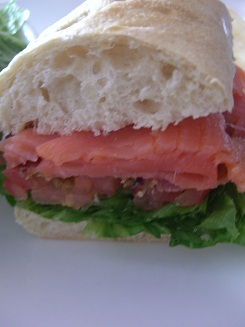 The salmon BLT was made with lox and was a good, tasty sandwich. They were very good, and I’d order them again, but they were not as extraordinary as my first meal. Kathyrn says: I ordered the 1/2 sandwich, 1/2 salad combo too. 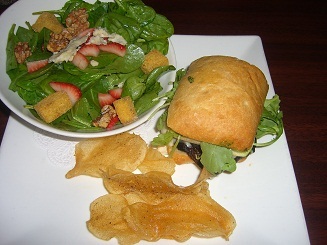 I chose the Portobello and Brie Sandwich with Granny Smith apples and arugula and the Spinach and Strawberry Salad. 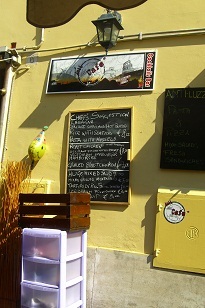 The sandwich was absolutely amazing – I almost wished I’d ordered a whole one. The thin slices of crunchy apples were complimented quite nicely with the oozing, sweet melted brie, the arugula, which gave it a little kick, and the Portobello, which was tender and warm. 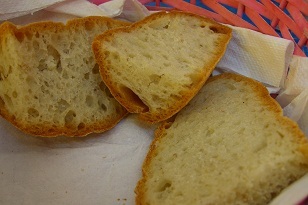 The bread tasted fresh and soft. I put my chips in the sandwich to add a little salt and an extra crunch. Yum! 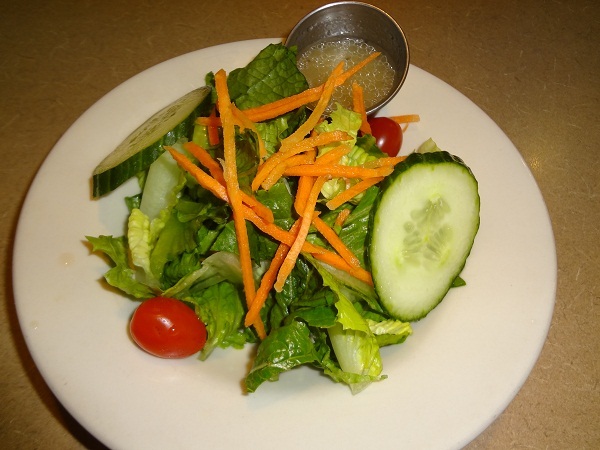 As for the salad, I enjoyed the light dressing, which made it moist and gave it a hint of sweetness. The flattened crumbles of blue cheese, fresh strawberries, and crunchy walnuts mixed in well. I was excited about the polenta croutons because J raved about them last time she came here, but they tasted a bit freezer burned. I’m not sure if they’ve ever been frozen, but that’s how they tasted. Otherwise, everything was just peachy. 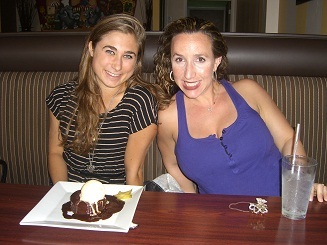 I was glad to be at J’s new local favorite restaurant with her to celebrate her 25th birthday. Time for cake! 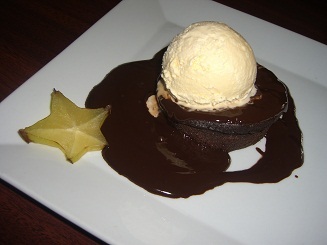 The group consensus was to share a Chocolate Flour-less Cake with Vanilla Ice Cream. Cousin Ash and I loved it, although J thought it tasted a little freezer burned, The cake was moist and ever-so-soft, the chocolate sauce was the perfect amount of rich without being too sticky or watery, and the vanilla ice cream was a good classic. I’d order it again in a heartbeat. Happy Birthday, Jamie! 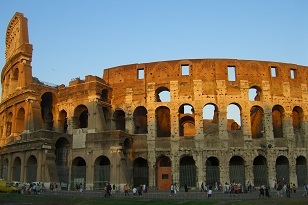 Jamie says: My Dad had been talking about seeing the Colosseum for years. And this was the day. It was awesome being there with my Dad for something that was so important to him. 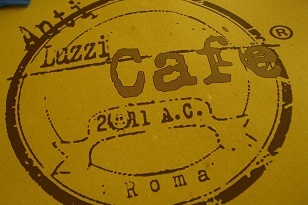 After our visit, we grabbed lunch at Anti Luzzi Cafe. It was nice to sit and relax after walking around and being in the heat. I was looking for something not too bread/pasta-heavy, so I ordered roasted chicken. They brought me the chicken breasts instead, but it did the trick. 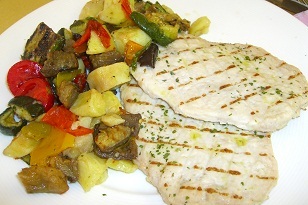 I asked if I could have the veggies and potatoes, which I saw in the restaurant’s showcase instead of the side the chicken came with; the veggies looked a lot better than they tasted but were still pretty good. Kathryn says: After our mid-day audio tour of the Colosseum, I cooled off with an iced coffee. 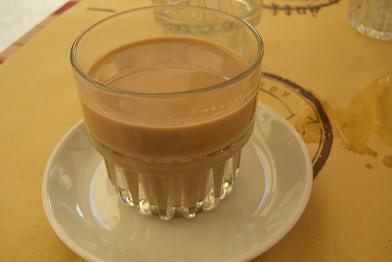 Iced coffee in Italy never seems to come with ice in the cup, which is nice because then it doesn’t get watery. 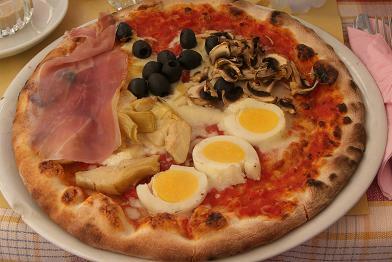 For my meal, I ordered pizza topped with a whole lot of amazing ingredients – hard-boiled eggs (that was a first), artichokes, mushrooms and ham. It tasted so fresh and flavorful that I ate most of it (minus the crust and some of the bread), and left feeling full, happy and recharged. Jamie says: The tickets were sold out for the earlier train out of Florence to Venice, so I pulled out a section of the newspaper I took from home. 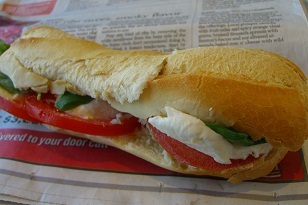 It was too early for lunch, but I followed my Mom’s advice and grabbed a caprese sandwich (mozzarella, tomato, basil) from Chef Express at the train station. Kathryn absolutely loved her sandwich from the Chef Express at the Termini Station in Rome, so I figured I’d give it a try. 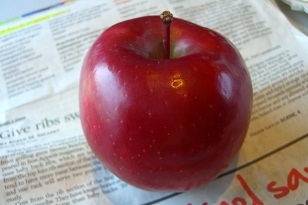 I packed my sandwich in my backpack and enjoyed it with an apple on the train. It was a cheap and good lunch. Venice, here we come! 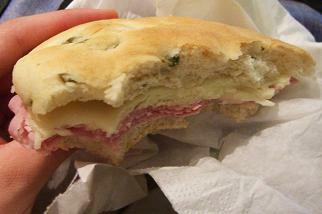 Kathryn says: Only in Italy could a pre-made sandwich with no toppings be this good. I grabbed a sandwich made with a light, flat olive bread, soft provolone cheese and sliced ham. I enjoyed it while journaling on the train. I love how the meat and cheese were so flavorful and moist that I didn’t feel the need to add mayo, mustard or other toppings. Quality ingredients mean you need fewer ingredients, I guess. 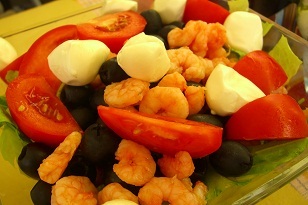 Kathryn says: My seafood salad, although a bit skimpy on the seafood, was tasty. 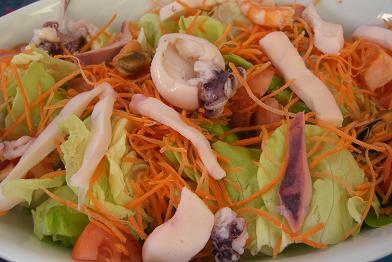 On a hot afternoon sitting outside, I was happy to get a cold meal – chunks of octopus and slices of calamari on iceberg lettuce with carrots and tomatoes. The seafood tasted like it was marinated in vinegar and was nice and chewy. 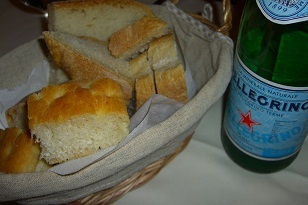 After fueling up on a light but satisfying meal, I was ready for a bike ride around Luca’s ramparts. 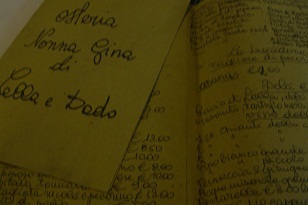 Jamie says: I navigated our way to Osteria Nonna Gina (Piano dei Mantellini 2; by Hotel Duomo; tel. 0577-287-247;) in Siena using our Rick Steves guidebook. Oh, lunch at Nonna’s. It was a favorite, if not “the” favorite, meal of the trip for sure. 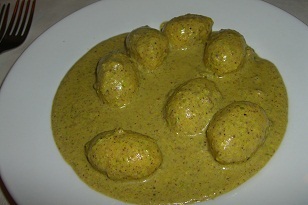 The gnocchi, pillows of soft goodness in a secret sauce (the only hint we got was that it was vegetarian) was to die for. 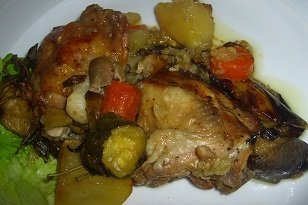 The greasy, garlicky chicken with veggies was just like my Grandma’s, meaning it was amazing. K enjoyed some of her sausage, but it was “very, very salty.” With the bill came-surprise- two large bottles of liqueur and four little shot glasses. 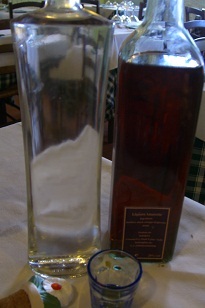 We poured ourselves some amaretto and grappa, . 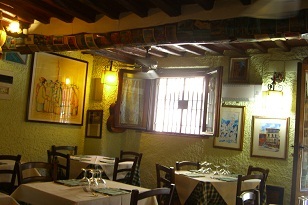 Thank you Rick Steves’ Italy guidebook for the restaurant recommendation.